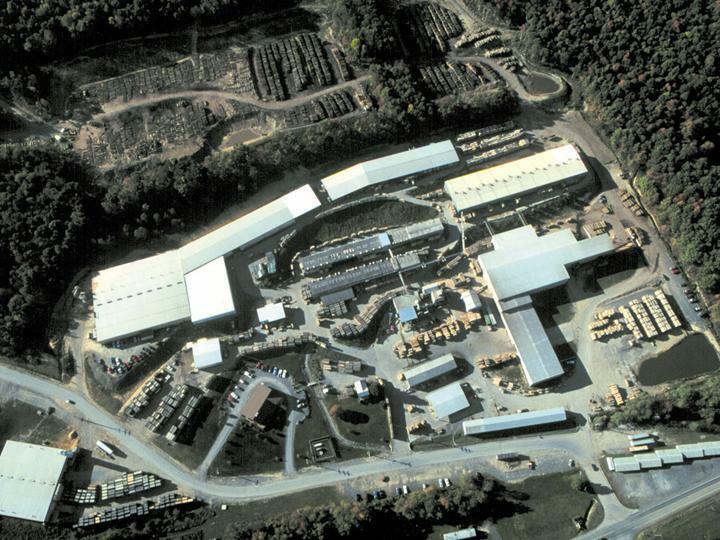 Baillie Lumber's facility in Everett, PA is known as Blue Triangle hardwoods. Blue Triangle Hardwoods offers customers a wide range of hardwood products. The facility provides customers with mixed loads of kiln-dried lumber in virtually every species and thickness, veneer logs, bark, mulch, shipping dry and more. From random widths and lengths to ripped to width products, few sawmills can deliver the same consistency and quality. Located on 107 acres the mill was founded in 1970. The people at Blue Triangle pride themselves on developing long-term relationships with both domestic and international clients which has helped them gain the expertise to export to over 40 countries worldwide. To learn more about Blue Triangle Hardwoods click here.